Freemasonry has been active in the United States for over two hundred and fifty years. 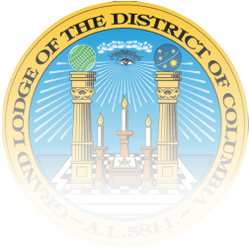 Since its founding in 1811, the Grand Lodge of Free and Accepted Masons of the District of Columbia has encouraged interaction and discourse among individuals of differing beliefs by promoting community service, civic responsibility, and civil debate. On this section of the Grand Lodge website, you will find pages dedicated to a calendar of events, Grand Lodge officers, news around the jurisdiction, the history of the Grand Lodge, and much more!